Charles Riess was born in 1941 in Wakefield, Massachusetts. He was commissioned a 2d Lt through the Air Force ROTC program at Parks College in St. Louis, Missouri, on April 12, 1967, and went on active duty beginning June 18, 1967. Lt Riess next completed Undergraduate Pilot Training and was awarded his pilot wings at Reese AFB, Texas, in July 1968, followed by Pilot Systems Operator training and F-4 Phantom II Combat Crew Training from August 1968 to April 1969. His first assignment was as an F-4 Pilot Systems Operator with the 16th Tactical Fighter Squadron at Eglin AFB, Florida, from April 1969 to February 1971, and then as an F-4D Pilot Systems Operator with the 389th Tactical Fighter Squadron at Phu Cat AB, South Vietnam, from February to November 1971. Capt Riess next served as an F-4E Pilot Systems Operator with the 34th Tactical Fighter Squadron at Korat Royal Thai AFB, Thailand, from November to December 1971, followed by A-7D Corsair II upgrade training and service as an A-7D pilot with the 353rd Tactical Fighter Squadron at Myrtle Beach AFB, South Carolina, from January to October 1972. He then deployed with the 353rd to Korat Royal Thai AFB, flying combat missions from October 1972 until he was forced to eject over Laos and was taken as a Prisoner of War on December 24, 1972. After spending 95 days in captivity, Capt Riess was released during Operation Homecoming on March 28, 1973. He was briefly hospitalized to recover from his injuries at Andrews AFB, Maryland, and then served as an A-7D pilot with the 353rd Tactical Fighter Squadron and the 354th Tactical Fighter Wing at Myrtle Beach AFB from January 1974 to March 1977. 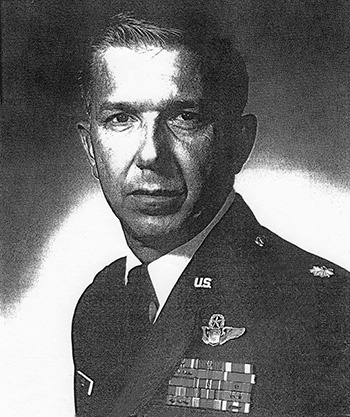 Maj Riess attended Air Command and Staff College at Maxwell AFB, Alabama, and then served as Chief of the Operations Control Branch with the 4441st Tactical Training Group at Eglin AFB, Florida, from July 1978 to July 1981. 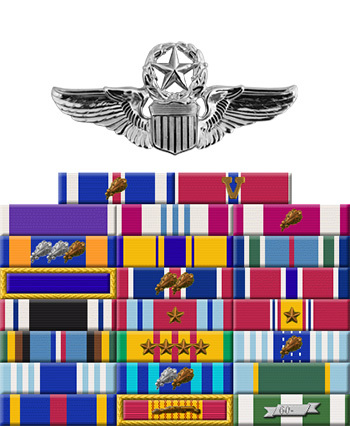 His next assignment was as an Air Operations Staff Officer and Chief of the Weapons Branch and other assignments on the staff of Headquarters Tactical Air Command at Langley AFB, Virginia, from August 1981 to November 1989, followed by service as Programs Officer, Programs and Requirements Branch in the Plans and Policy Division with Headquarters Allied Air Forces Southern Europe in Naples, Italy, from November 1989 to October 1991. Lt Col Riess' final assignment was with the U.S. Air Force Weapons and Tactics Center at Eglin AFB, Florida, from October 1991 until his retirement from the Air Force on October 1, 1993. Captain Charles F. Riess distinguished himself by extraordinary achievement while participating in aerial flight as an F-4D Pilot near Kontum, Republic of Vietnam, on 22 August 1971. On that date, Captain Riess led a flight of fighter aircraft in attacking an extremely dangerous hostile storage area. In spite of unfavorable weather and heavy ground fire, his expert assistance to the aircraft commander resulted in three military structures damaged, five bunkers and seven structures destroyed, and one hostile casualty. The professional competence, aerial skill, and devotion to duty displayed by Captain Riess reflect great credit upon himself and the United States Air Force.